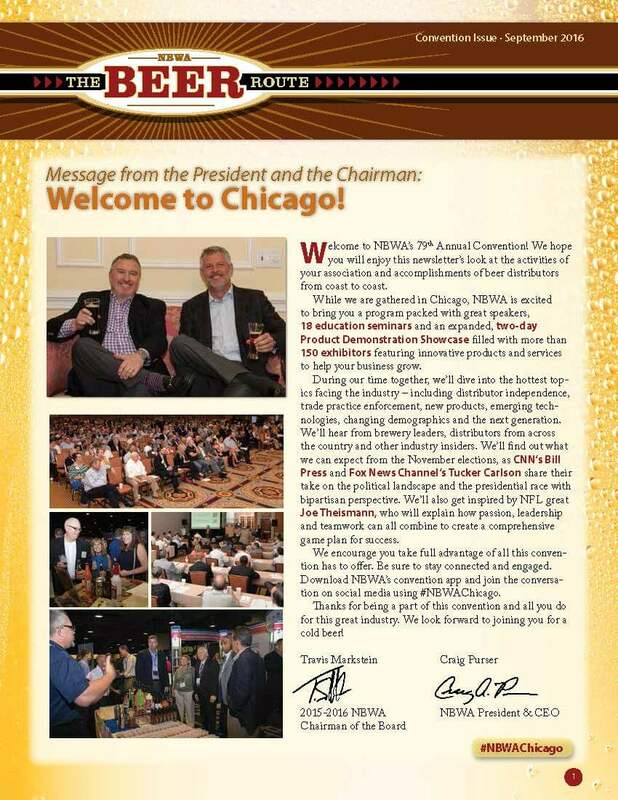 Read the 2016 Annual Convention issue, which provides a look at the activities of the National Beer Wholesaler Association and accomplishments of beer distributors from coast to coast. Learn about what's happening in Congress; read about members of Congress visiting beer distribution warehouses and get an economic update on the beer industry. Read about NBWA's Fourth Annual Next Generation Success in Leadership Conference. Find out how beer distributors like 7G Distributing are utilizing public affairs initiatives to advocate for and promote the beer distribution industry, and learn about safety training videos that NBWA offers to members!